The Sahara is the world's largest hot desert. At over 9.400.000 square kilometers (3,630,000 square miles), it covers most of northern Africa, making it almost as large as the US or Europe. 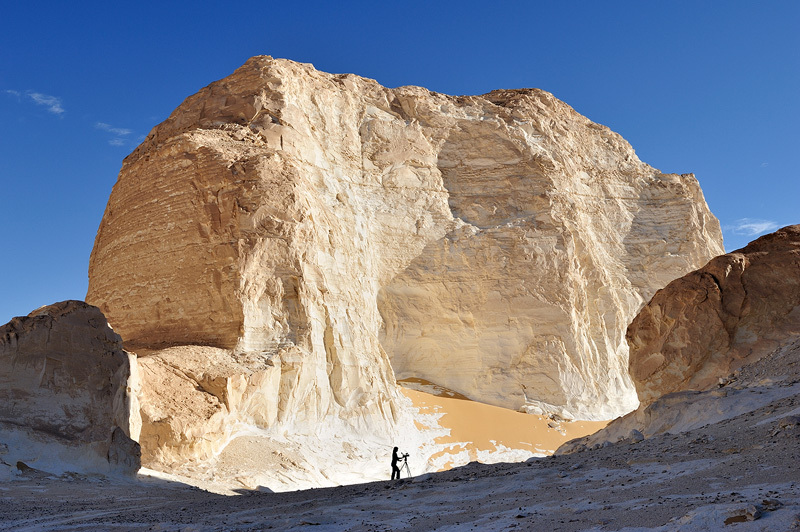 This image was shot in the White Desert in Egypt, named after the white rocks sculptures that dominate the surreal landscape. The little silhouetted person is Daniella, working on her Sahara movie.